It seems normal but it wasn't. It was a special experience only you could have at RESORTS WORLD GENTING. Stepping out of the limo, dropping the bags at the hotel and being escorted straight into to a packed restaurant with a long line seems too good to be true. But, it was! It was the start of my MALAYSIAN RESORTS WORLD GENTING ADVENTURE. 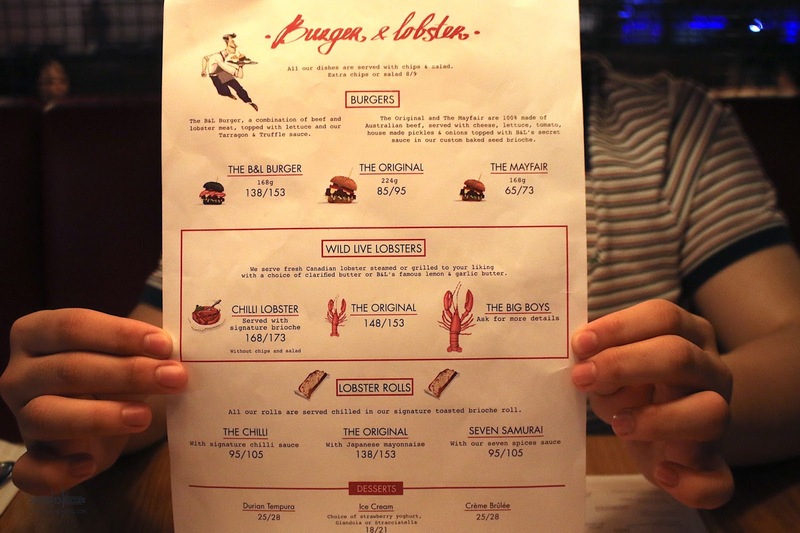 The restaurant to enjoy first in Malaysia's Genting Highlands would be the BURGER and LOBSTER. 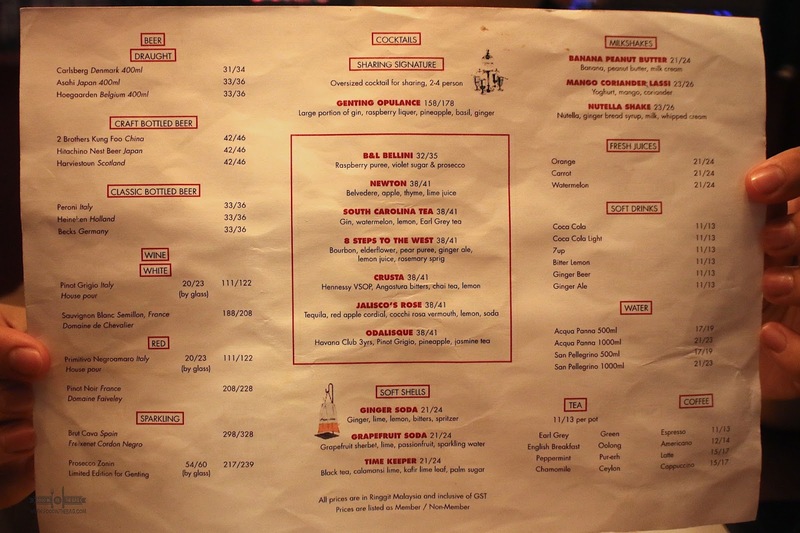 The first and only in Southeast Asia, this pub-like joint does things incredible good yet simple. No reservations though as they have a strict lining up policy. Hence, going at an off peak time might be best. As you walk inside, you are greeted by huge lobsters. A gigantic cage is right by the entrance enticing guests to get one and have them cooked based on their preference. 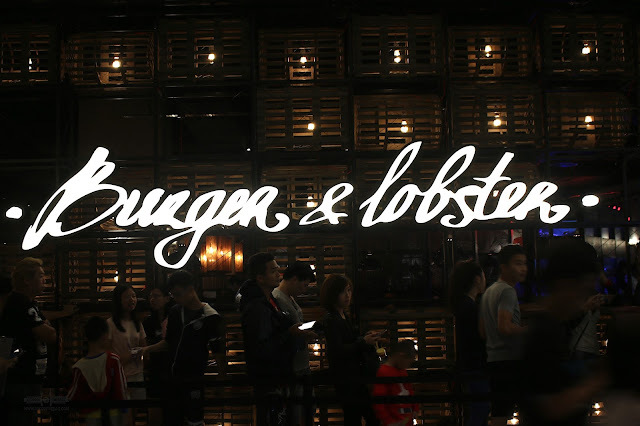 As the name of the restaurant implies, this is a place for all of your seafood dreams. LOBSTERS to be precise. First thing first though, drinks are a must. After coming off from an almost 2 hour ride from the airport, arriving in GENTING GRAND (check out my experience of this great hotel here), one would definitely need a drink or two. 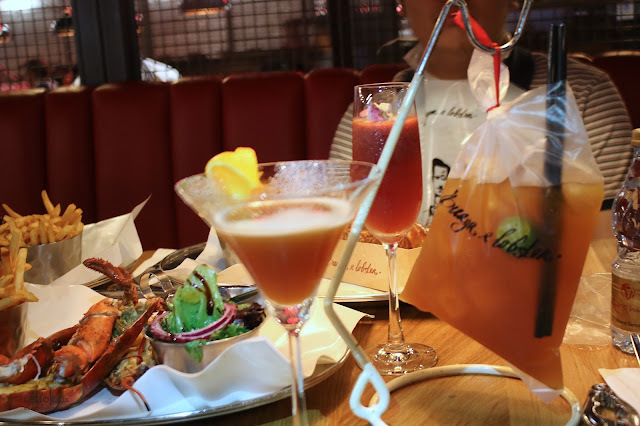 Signature cocktails would definitely hit the mark but for something refreshing the SOFT SHELLS option would work. The TIME KEEPER made with black tea, calamansi lime, kafir lime leaf, and palm sugar is genius. Sweet but not overly so. 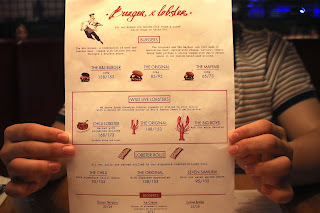 If there was only a couple of dishes that you would have to try out, it would be the BURGER and the LOBSTER ROLL. 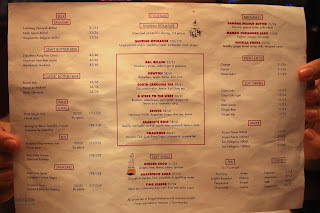 For the burger, you should go with the B and L BURGER. 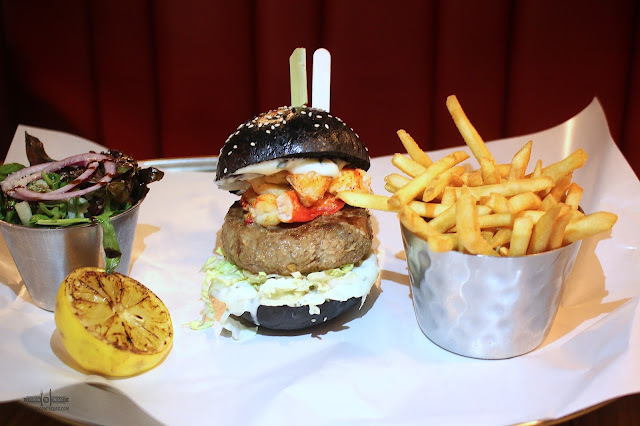 A combination of BEEF and LOBSTER MEAT, it is topped with lettuce, tarragon and Truffle Sauce. It may be a bit of a bite but they meat compliment each other. 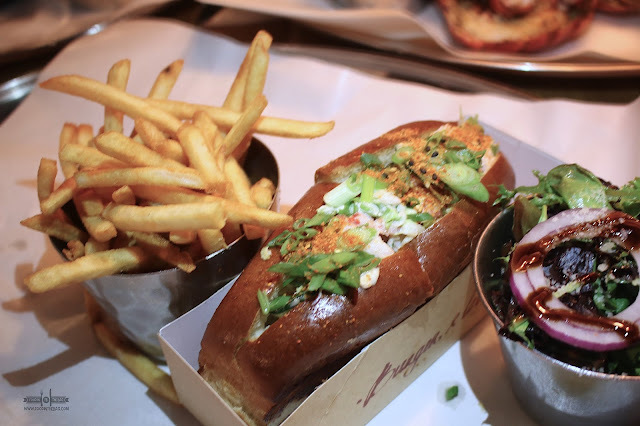 Served in a toasted Brioche roll, the LOBSTER ROLLS are also their best sellers. One could go for something chilli but the ORIGINAL would work best. 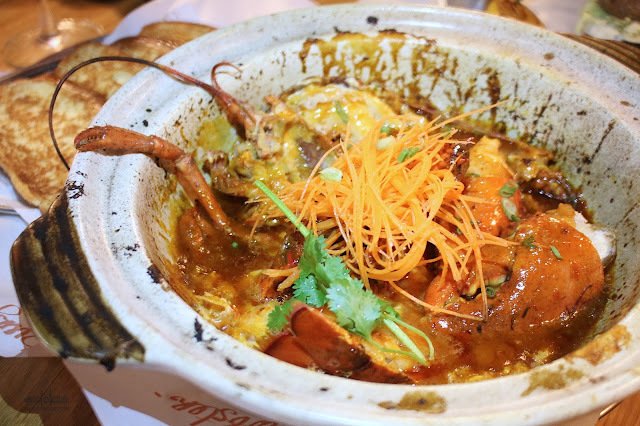 A dish that was created and is served only for Malaysia would be the CHILLI LOBSTER. Served in a clay pot, the lobster is drowned in chilli sauce. Making the flavor very authentic and familiar with the local guest. Not overly spicy, you could use the brioche to scoop up the sauce. 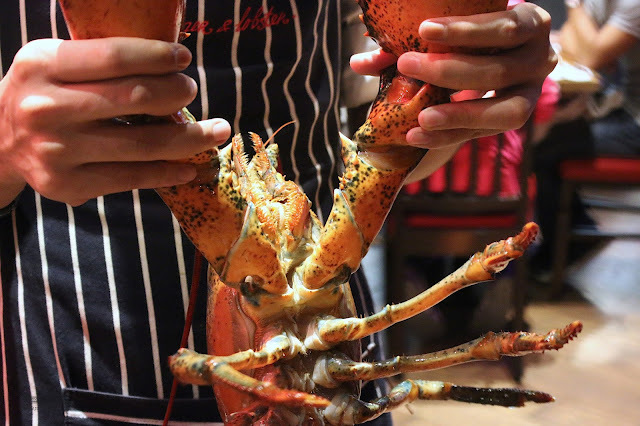 But to properly taste the LOBSTERS you could go for them either steamed or grilled. In this instance, the GRILLED version seems more delicious. Partnered with either clarified butter of B&L's famous lemon and garlic butter sauce, you can't help but to keep on getting those meat of of those shell. Delicious. 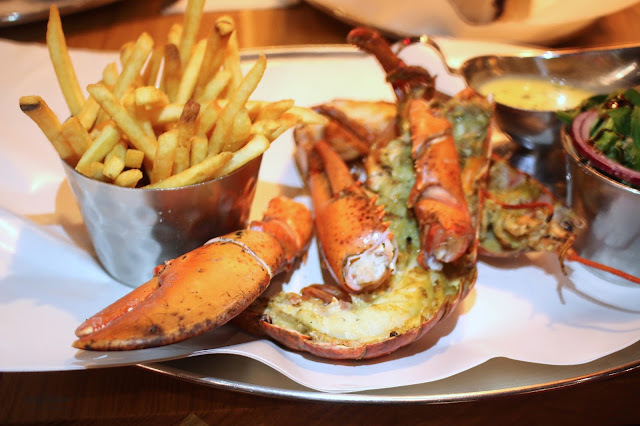 BURGER AND LOBSTER is but one of the many food establishments inside the newly opened SKY AVENUE. 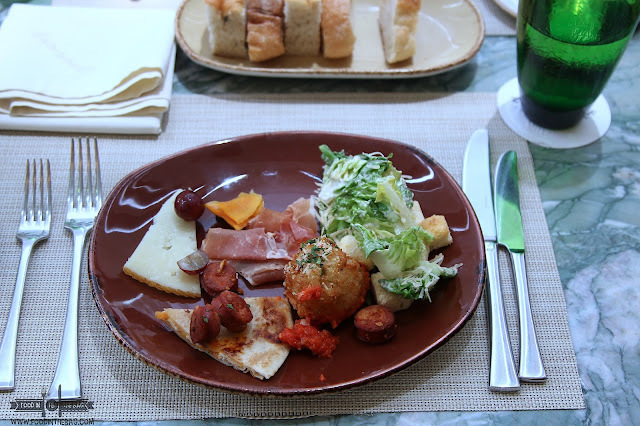 It is here that you could get a chance to feel, taste, and enjoy everything to your hearts content. The lobsters are all flown in and are delivered alive and fresh.